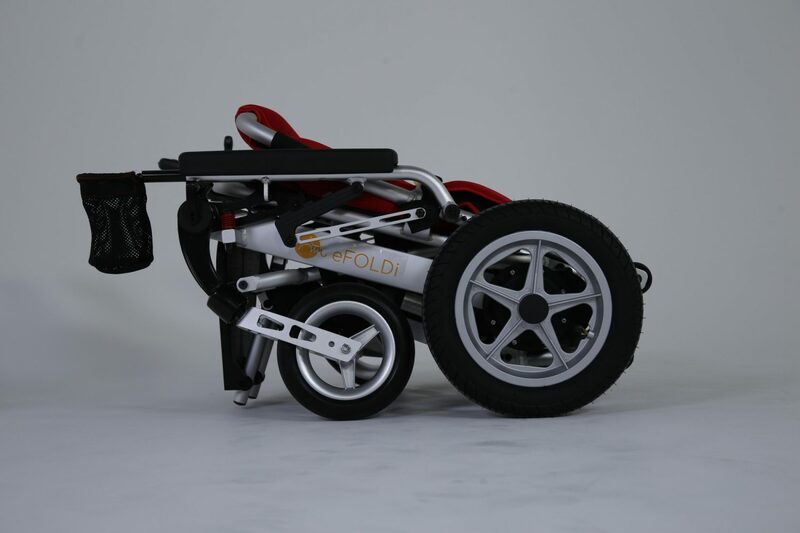 Standing for “easy to fold”, eFOLDi is a lightweight and foldable electric mobility scooter. It’s also the winner of British Invention of the Year 2016 and gained seed funding from Virgin Media’s VOOM 2016 competition. Why did you decide to crowdfund as opposed to other forms of funding? eFOLDi has always been about people and giving something back. We chose crowdfunding because it gives ordinary people the chance to be part of the eFOLDi story for a very small outlay. We love the fact that you can invest a little or a lot and get to own shares directly, with no distant brokers or investment funds. By crowdfunding as part of CrowdBoost, the campaign also garnered more publicity. We had enquiries and interest from all over the world. How have you been supported by Virgin StartUp? Virgin’s help has been an invaluable springboard for eFOLDi. Through CrowdBoost, we’ve had access to vital training, advice, and mentoring, as well as valuable funding and resources. Virgin has helped us promote our product through its contacts, network, and events. In addition, by being part of Virgin’s StartUp family, we’ve attended some great events, drawn inspiration from other entrepreneurs and had a ready platform to showcase eFOLDi. Why did you apply for CrowdBoost? CrowdBoost was a win-win: it’s so well organised – easy for investors to take a true share of a company – and easy for companies to raise vital seed funding without having to go through the mill of more traditional routes to finance. The campaign setup delivered on its promises: we got to really understand our potential investors, apply for EIS/SEIS status – which served us later on a second crowdfunding round – and receive some real help with practicalities like filming the pitch video and creating a hard-hitting pitch deck. And Virgin StartUp adds invaluable extras too, like advice on marketing and PR. What was the most valuable way in which CrowdBoost helped eFoldi? To be frank – raising the finance itself. It was early days for us then and the money CrowdBoost provided meant having the funding to keep our R&D and product development going – after all, eFOLDi’s USP is its technical excellence and simplicity. How was the CrowdBoost Investor Evening? The CrowdBoost Investor Evening was great! We secured more than £50K from it. We brought eFOLDi over to the event and demonstrated it to the investors after our pitch. We fielded a wide range of questions: from technical ones about the eFOLDi itself and what patents we’d secured, through to the financials – our expected sales revenue and queries about our future plans. What was it about your business that made it so attractive to investors? It was a positive blend of all the strong points associated with eFOLDi. Firstly, that it’s a brand-new and very innovative product (as we put it: the world’s most compact, lightweight and stylish personal mobility vehicle). Also, that eFOLDi’s potential is vast: it has the power to tap into completely new, “unreached” worldwide markets and segments. Finally, that it won British Invention of the Year in 2016, as well as a previous award in Beijing and Virgin Voom seed funding – awarded personally by Richard Branson. We have also been endorsed by a range of commentators, from the Gadget Show to the BBC, who have reviewed eFOLDi very positively. The evening went so well that not only did we secure our targeted amount of funding, but we were actually overfunded by the third day of public live! In what ways has your business grown since CrowdBoost finished? We’ve come a long way since then. We raised almost a million pounds in our latest round of crowdfunding. We’re refining eFOLDi’s design with our new Mark2.0 to perfectly meet our customers’ needs. Production is now moving to full-scale – we’ve just received our first shipment of eFOLDis for sale – and SunTech has expanded to gear up for it all. We have hired new sales and support managers, a marketing assistant, administrator and also taken on new offices in the Southeast and the Midlands. In addition, we’re looking ahead with new products, such as SunTech’s new power chair. It’s also been very uplifting to have new investors with equity involved in eFOLDI. They are the owners and we’re working to serve them. Some of them are helping us with various aspects of our growth, from shipping to recruiting. Would you recommend CrowdBoost to other entrepreneurs? Overall, CrowdBoost was a great experience for us and we would definitely recommend it to other entrepreneurs. The team at Virgin StartUp are really helpful and professional and CrowdBoost works on a ready-made, ready-to-go platform. Without it, we couldn’t have got to where we are today anywhere near as quickly.